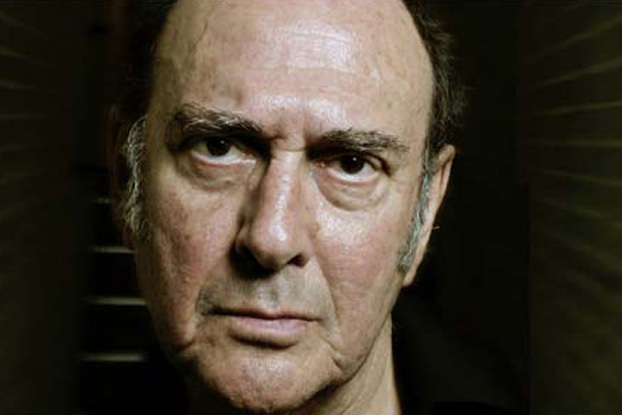 In 1957, at the urging of his mate Henry Woolf, a 27-year-old Harold Pinter penned his first play. It was called The Roomand Pinter claimed to have written it in four days, although Woolf suggests it was finished in two. It was staged as a student production at the University of Bristol, with Woolf as director, before transferring to a season at the National Student Drama Festival. It was seen by the London Sunday Times drama critic Harold Hobson and attracted the attention of young producer Michael Codron, who presented Pinter's second play The Birthday Partyat the Lyric Hammersmith in 1958. This was the start of one of the most influential playwriting careers of the 20th century. From his first play Pinter displayed some of the characteristics for which he became so famous: the black humour, the fascination with language, the penchant for pauses, the questioning. Pinter wrote about people, their fears and their flaws. He wrote about marriage and friendship, parents and their children. He often introduced strangers to his simple but strange domestic scenarios and was unafraid of violence. When Pinter first waded into the inky depths of playwriting, he was working as an actor and had recently married actress Vivian Marchant, who performed in the first productions of some of her husband's early plays. While Pinter's playwriting career flourished in the following decades, his marriage to Marchant crumbled and finally ended in 1975 when - five days after the opening of No Man's Landat the Old Vic Theatre in London - he left her for Antonia Fraser. Five years later, on the finalisation of his divorce to Marchant, Pinter married Fraser. Marchant died of alcoholism in 1982 and her son with Pinter, Daniel, born in 1958, became a musician and songwriter and was estranged from his father. He cast off the name Pinter and refused to attend his father's funeral. In addition to playwriting, Pinter worked throughout his life as an actor, primarily on stage but occasionally also in film and television. Despite being diagnosed with oesophageal cancer in 2001, he continue to act until 2006 when he made his final stage appearance in the title character of Samuel Beckett's Krapp's Last Tape. He was also a prolific theatre director, particularly from the 1970s onwards, often directing his own work, and was a highly regarded screenwriter responsible for 27 film scripts including The Handmaid's Tale, The French Lieutenant's Woman, The Remains of the Day, Lolitaand Betrayal. The French Lieutenant's Womanand Betrayalwere both nominated for Academy Awards. Pinter was awarded in many ways throughout his life, with notable honours including 20 honorary degrees, the BAFTA Fellowship in 1997, Commander of the Order of the British Empire (CBE) in 1966 and Companion of Honour in 2002 (despite having declined a knighthood in 1996), and the Nobel Prize for Literature in 2005 for his body of work. Pinter was a passionate participant in and observer of the game of cricket (so much so that he named the four characters in No Man's Landafter four greats of English county cricket: George Hirst, Reggie Spooner, Johnny Briggs and Frank Foster), he was also intensely political. He was always vocal about his views. As a young man he became a conscientious objector and refused to join the National Service during the Cold War at the age of 18. Later in life he expressed his views through essays and interviews, drawing widespread criticism and causing some of his detractors to suggest he should not have been awarded the Nobel Prize. Pinter died of liver cancer on 24 December, 2008, in London, England.